Choose from 46 hotels and guest houses in Leicestershire. Shown below a just a selection of the hotels available. To search within an area please use the menu on the right. Situated within a few minutes' walk of the town centre, the hotel is set in pleasant surroundings, within easy reach of the rail and bus stations. Purpose built to meet the needs of today's discerning guest, this family-run hotel has a friendly atmosphere and a unique character which aims to make your stay a highly enjoyable, comfortable and relaxing experience. All of the en suite rooms have all the comforts and facilities you need and each room is individually decorated, with its own unique charm. All of the hotel's rooms are non-smoking, but there is a smoking terrace available to the rear of the bar. A full traditional cooked English breakfast included in the price. 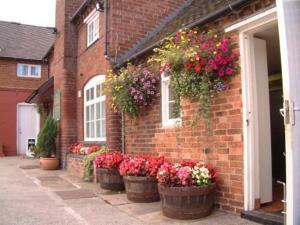 The Copperfield Hotel is a great base from which to explore Leicestershire and Northamptonshire. During your stay you can enjoy golfing, rambling and boating. A modern leisure complex with extensive swimming, sports and leisure facilities is just a few minutes' walk away. Free on-site parking is available for guests. Sketchley Grange Hotel is an elegant country house hotel, ideally located on the borders of East and West Midlands in the town of Hinckley, 2 minutes drive from the M69. This stylish 4-star hotel and spa is ideally located in a rural setting on the borders of Leicestershire and Warwickshire.The National Exhibition Centre (NEC) and Birmingham International Airport are just 30 minutes drive away. All guests have complimentary use of the superb Romans Health Club, including a 17 metre swimming pool with bubble jet bath, sauna, aromatic steam room, spa bath, whirlpool spa and gym. The hotel also has a beauty therapy and hair salon, offering a wide range of treatments in the most luxurious surroundings. The 2 Rosette award-winning Willow Restaurant, serves fine cuisine in beautiful surroundings. Alternatively relax in the informal, contemporary Terrace Bistro and Bar, with a cosmopolitan menu and friendly service. There is a children's menu and an outdoor play area. All of the elegantly furnished bedrooms are en suite, with satellite TV and Wi-Fi internet access. A golf course, spa, fine dining, excellent views and leisure activities combine at Stapleford Park, set in 500 acres of woods, parkland and gardens. Open fires, individually designed bedrooms, and 2 dining options contribute to Stapleford Park's air of informal luxury. The hotel's spa is situated in the converted stable block, and a 5-minute stroll through the gardens will bring you to the pool complex, with Jacuzzi, steam room and sauna. There is a range of sporting activities and country pursuits available on site. These include: clay-pigeon shooting, falconry, archery, croquet, golf, tennis and mountain biking. 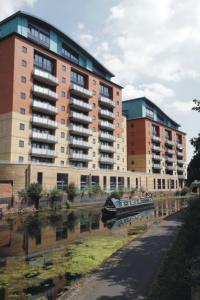 Campanile Leicester has a city-centre location and easy access to major routes and motorways. 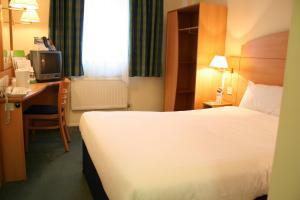 All the modern rooms are en suite and have a TV, a telephone and tea/coffee-making facilities. The bar is open until late, and the restaurant has a variety of meals and snacks. At the junction of the A6 and the B6047, less than 3 miles (5 km) from the very heart of Market Harborough's town centre, the hotel offers comfortable, great-value rooms and free parking. Just off the A6, the Premier Inn Market Harborough has a convenient location with good access to the region's major roads. The hotel has a 24-hour reception desk and some rooms can take 2 adults and up to 2 children (under 16 years). The 2 children also get a free full breakfast when accompanied by an adult eating a full breakfast. An all-you-can-eat buffet breakfast is available each morning and includes the expected cooked items such as scrambled, fried, poached or boiled eggs, and pork or vegetarian sausages. There is also a wide continental selection. The on-site Table Table restaurant offers a fresh new twist on eating out. 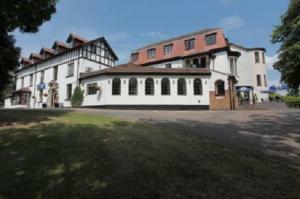 This four star award winning hotel, originally known as Charnwood House, dates back to the time of the Doomsday book. Modern demands are met with each bedroom being equipped to the highest standard. The outstanding cuisine, the delightful surroundings and the tranquility of the gardens leading down to the River Soar are appreciated by many of the guests who return time and again for either business or pleasure. For dinner choose from a menu renowned for both its innovative ideas and traditional values served in either the intimate alcoves of the Shires Restaurant or the light and airy atmosphere of the Orangery Restaurant. Both restaurants continue to win accolades including 3 RAC dining awards and 2 AA rosettes for maintaining a consistent reputation for fine cuisine, complimented by our carefully selected wine list. At the end of your day experience the comfort in one of our 30 individually designed and newly refurbished bedrooms. The bespoke furniture and classical decor create an ambience of relaxed elegance. Just off junction 21 of the M1 motorway, 3 miles (5 km) from Leicester's city centre, this 4-star hotel has a well-equipped gym, an 18-metre heated indoor pool and stylish modern rooms. Within easy reach of Leicester's city centre, the Hilton Leicester Hotel is just 25 minutes' drive from East Midlands Airport. The LivingWell Health Club boasts cardiovascular equipment and weights, as well as offering aerobics classes. There is also a sauna, jacuzzi, steam room and sun bed. The beauty suite offers a range of treatments, including massages. All of the modern rooms have work desks, 32-inch TVs, on-demand movies and high-speed internet access (at an additional cost). Every room has a dual power shower and some rooms have garden views. Flavours Restaurant serves traditional cuisine and international dishes, while Caff? Cino offers coffees, teas, sandwiches, salads and light lunches. The Court Bar overlooks the garden patio. Room service is available 24 hours a day. A friendly, privately-owned and run hotel on the edge of the Charnwood Forest between the M1 and M42; an ideal position for visiting Donnington Park and the National Exhibition Centre. A short drive from Mallory Park, this hotel's recent refurbishment work has almost been completed, although upgrading is an ongoing process. En suite bedrooms are equipped with all modern amenities, and a full English breakfast is included in the room rate. 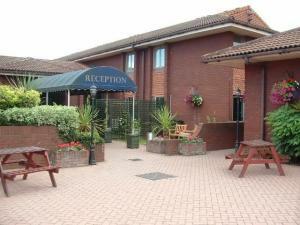 Burleigh Court is ideally located in the heart of the country, close to the M1 and East Midlands Airport. 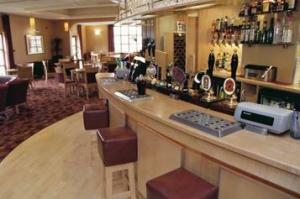 A high quality venue with full restaurant, bar and leisure facilities. Whether staying on business or leisure, Burleigh Court is a modern venue offering the highest levels of quality and service to its guests. Ideally located in the Midlands, just 1.6 km (one mile) from junction 23 of the M1 and 13 km (8 miles) from Nottingham's East Midlands International Airport, Burleigh Court is within easy reach of many local attractions, including the National Space Centre and Alton Towers. All of the en suite rooms are attractively furnished with the most discerning visitor in mind. The restaurant offers a warm and relaxing ambience in which to enjoy a variety of British and international dishes, whilst contemporary lounge and bar areas give guests the chance to relax in comfort and style. The leisure club offers guests the opportunity to work out in the gymnasium, or simply relax and unwind in the indoor pool, whirlpool spa, sauna and therapy centre. Imago at Burleigh Court is delighted to announce the completion of a ?8.5 million expansion. The expansion includes the addition of 88 en suite executive double rooms, along with extended leisure, conference and dining facilities. (Christmas Functions will be taking place throughout December: bar and dining facilities may be limited at this time). Above the rolling Leicestershire countryside, this former country house offers all the charm and beauty of the Midlands right on its doorstep. The Charnwood Arms offers superb access from all parts of the country. It is also close to the M1 and all Midland motorway links. East Midlands and Birmingham airports are also easily accessible. The Charnwood Arms has en suite bedrooms with free Wi-Fi access. There is also a restaurant, bar, and conference rooms and dinner/dance facilities for up to 200 people. This Georgian-style town house hotel is located in the heart of the lively and thriving market town of Loughborough. The M1, M42 are within easy reach, with the cities of Leicester, Nottingham and Birmingham also nearby. 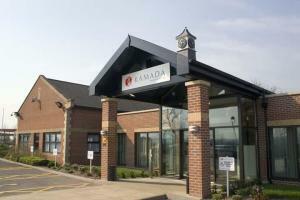 The Ramada Loughborough offers a lovely courtyard, restaurant and club bar. All guests enjoy complimentary use of the nearby Charnwood Leisure Centre. Parking is also available at the hotel. This comfortable town centre accommodation is within easy reach of local bars, restaurants and nightlife. We have recently undergone a major refurbishment to the bar, lounge, reception and car park entrance. Please note that all public areas including bedrooms are now non-smoking. Smoking is only permitted in the courtyard area. In the heart of Leicester, less than 500 metres from the railway station, this elegant Victorian town house is now a family-run boutique-style hotel offering free parking and stylish en suite rooms. The Belmont has been a hotel since 1934 and is still owned by the same family. The hotel is situated in a quiet, leafy conservation area, only a few minutes walk from the very heart of the city centre. The hotel is also within easy reach of junction 21 of the M1 and the M69. The hotel has 75 bedrooms, varying in style from modern to traditional. Cherrys Restaurant offers good food and exceptional service in stylish surroundings, while Bowies Brasserie offers a more casual atmosphere. Jamies Bar and Lounge serves light bites and coffees, as well as a range of alcoholic drinks. The Belmont also boasts facilities for functions for up to 175 people. Just off junction 23 of the M1 and close to Loughborough University, this convenient hotel offers you a large restaurant, popular bar and free leisure facilities. The accessible location of Compass Hotel Loughborough makes it a good option for visiting Loughborough, its university, the nearby city of Leicester, or as an overnight stop on the way to East Midlands Airport. The Compass Hotel has free leisure facilities including an indoor swimming pool and jacuzzi (part of its Quality Living leisure club). The hotel is 5 miles (8 km) from Donington Park race track, home of the British and World Super Bikes Championships, and the British Touring Car Championships. With free parking, a beer garden and beautiful field views, this Premier Inn hotel is within easy reach of Burton-on-Trent and Ashby de la Zouch. Good road links to the A511, A38, A42 and M1. This Premier Inn hotel is a 4-minute drive or bus ride (bus stops are close by) from the centre of Burton-on-Trent. Drayton Manor Theme Park and Derby's Westfield Shopping Centre are 30-40 minutes' drive. Some rooms can take 2 adults and up to 2 children (under 16 years). The 2 children also get a free full breakfast when accompanied by an adult eating a full breakfast. The full all-you-can-eat breakfast has the expected cooked items, including vegetarian sausages, as well as a wide continental selection. Ideally located, Premier Inn Hinckley is just 1 mile away from Hinckley town centre and close to Hinckley Train Station, with good access to the M69. Some of the comfortable rooms at Premier Inn can accommodate 2 adults and 2 children (under 16 years). The 2 children are also served a free full breakfast, when accompanied by an adult eating a full breakfast. The full all-you-can-eat breakfast includes cooked items, vegetarian options and a wide continental selection. Premier Inn Hinckley is next to the Marina Brewers Fayre restaurant, serving good pub classics in a welcoming environment. There is free parking and a 24-hour reception at this Premier Inn.